The QAQC Seed Counter works on the principle of electromagnetic vibrations and opto‐electronics. and interrupts the optical beam to count the seeds. The Seed Counter is designed for tabletop use. The machine consists of two electromagnets, coupled with spring action, to cause the seed on the spiral pan to move in a clockwise direction. The speed of vibrations can be controlled automatically by the UP/DOWN keys on the keypad. 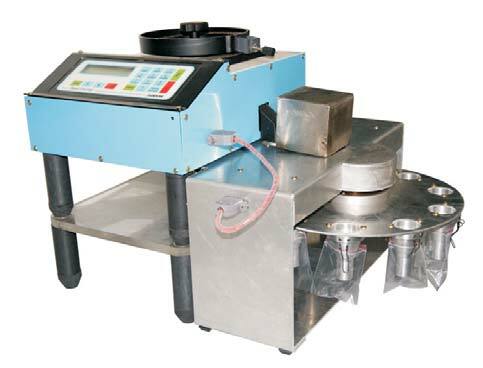 The Pan consists of a screw arrangement for adjusting the feed of the seeds in to a single row for counting. The aligned seeds are dropped into the chute. An opto‐electronic sensor detects the seeds, which are then collected in a storage box. 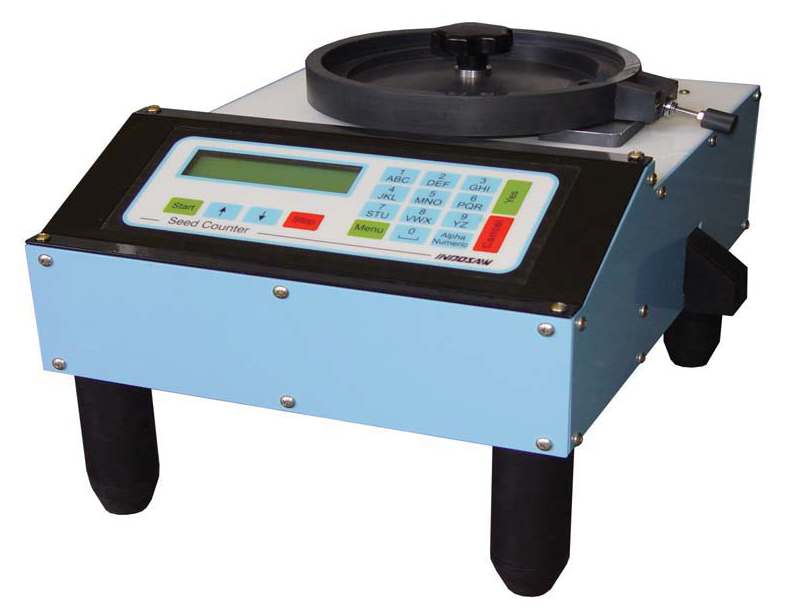 The seed counter vibrations has a soft start and soft stop feature, for accurate counting. The soft start function is automatic, and the soft stop function is programmed by the user. Micro controller based with membrane keypad. Count Seeds in the Range 0.4mm to 15mm. Metallic Pan (Volume- 200 cc)..
Pouch Size: 5 x 10 cm to 10-20 cm. Packing speed depends on the seeds.